Sealed Power Buick 3.8L Turbo V6, .030" Overbore Piston Dia. 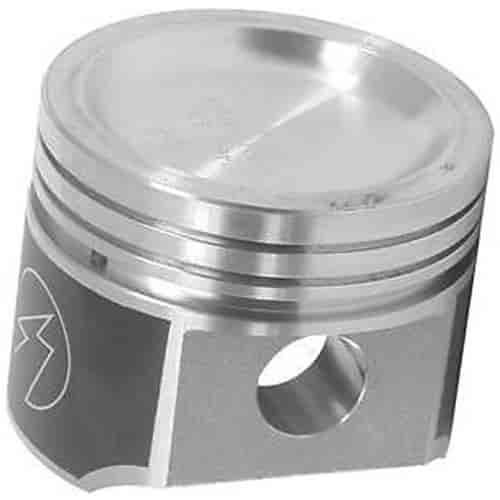 : 3.830"
Sealed Power L2256F30 - 350ci Stock Type Piston, .030" Overbore Piston Dia. : 4.030"
Speed-Pro developed powerforged pistons and set the pace in powerforged technology. The high silicon VMS-75 alloy is found exclusively in pistons ?powerforged? by Speed-Pro. Up to 3,000 tons of force forges aluminum slugs into the basic piston form which creates a grain flow pattern in the structure providing excellent strength, ductility and improved heat dissipation. Does Sealed Power L2481F30 fit your vehicle?